Sri Abathsagayeswara Swamy Temple, the sthalam of Guru Bagavan is Alangudi, It is located in Thanjavur district of Tamilnadu, India. Alangudi is 17 kms away from Kumbakonam enroute to Mannargudi. Jupiter or Guru is the planet of good luck, optimism, success and generosity. Jupiter brings joy to life. The position of Jupiter in your birth chart can indicate where your fortunate opportunities are to be found. This benevolent planet shows where you have the most room to expand and the areas in which you will get the best out of life. Jupiter has always been identified with the idea of expansiveness and abundance. Sri Agniswara Swami Temple is situated on the north bank of river Cauvery. It is fifteen kilometers to the north east of Kumbakonam, Thanjavur district of Tamilnadu, India. The planet Venus stands for our sense of aesthetics, the arts (especially music) and how we interact in our intimate relationships. SRI SATURN TEMPLE - THIRUNALLAR. 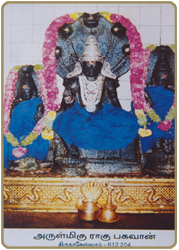 Sri Dharbarenyeswaraswamy Devasthanam, Thirunallar is one of the famous Lord Siva temples in India. 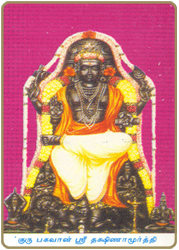 Thirunallar is located 5 kilometers west of Karaikal in the bus route of Karaikal-Mayiladuthurai and Kumbakonam.. Whoever visits this temple and prays before Lord Saneeswaran is believed to have been relieved of all the curses and sufferings and get the blessings of Lord for a happy and prosperous life. 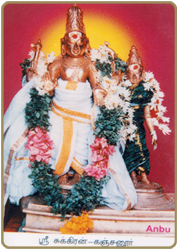 Saneeswaran is reputed to be both, a giver and destroyer. 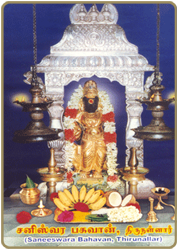 A person who prays to Saneeswaran will be blessed with not only riddance from the problems and worries faced, but a life that one desires. Sri Naganathaswamy temple, which is also the Ragu Abode, is a magnificent Temple situated seven kilometers east of Kumbakonam, in Tanjore District, Tamilnadu State of India. Rahu is the source of plenty. Kalathra dosham, puthira dosham, communicable diseases, mental disorders, leprosy, fall in grace are caused by Rahu dosham. Praying to Rahu at this sthala helps rid a person from these factors and also saves the person from all poisonous life forms. 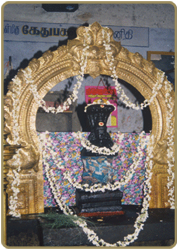 The Naganathar temple known as the Kethu Navagrahastalam is located in the hamlet of Keezhperumpallam in the vicinity of Tiruvenkaadu near Mayiladuturai /Chidambaram in Tamilnadu. Persons afflicted by Kethu dosham are stricken with fears of dacoity, bad habits, loss of property, loss of face, putra dosham. By praying to Kethu Bhagavan, one can be rid of the doshams. Motcham, sight, property, land, gold, vehicle, fame, wife, children, happiness, unexpected property gains are the beneficial aspects of Kethu Bhagavan. Sub Lord Chitra Guptra: To acquire spirituals knowledge - To neutralize poisonous effects - alchemic efforts.